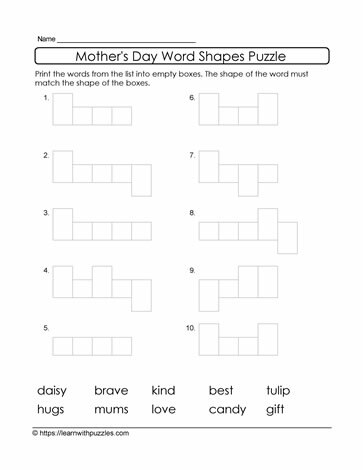 Here is a Mother's Day word shape puzzle to support early learning skills for reading and writing. Word shape puzzles help early learners make connections between letters in words, spelling and their shapes. Suits grades 1,2 classrooms, home schooling and as tutoring resources.